A Southern Grace: saints preserve us! Like many folks, I enjoy fruit preserves dolloped elegantly atop a piece of toast or biscuit. My latest successful experiment involved some of those scrumptious preserves delightfully incorporated into some quick bread batter. Whenever I feel the need to bake, the first, second, and third places to which I turn for inspiration are (in no particular order) my refrigerator, cupboards, and pantry. On this occasion, my perusal of the fridge resulted in the discovery of about a quarter cup of lingering peach preserves. 'Wouldn't these dregs be great in some mini loaves?' I asked myself. (Do you talk to yourself? I do. At least I know someone's listening.) Convinced that they would indeed contribute to a tasty quick bread (and resisting the urge to just attack them with a spoon), I started with a basic muffin recipe, cut back the sugar, and added the preserves, chopped pecans, and nutmeg. The result was a fluffy and sweet piece of breakfast bread--it was delicious. My only complaint would be that the taste of the peaches was too faint. In the future, I'll not wait until only a bit of preserves remain in the bottom of the jar and include more in the batter. Preheat oven to 400°F. Spray pan of choice. In a large bowl, stir together flour, sugar, baking powder, salt, and nutmeg. In another bowl, stir together milk, eggs, oil, preserves, and vanilla until blended. Make a well in center of dry ingredients. Add milk mixture and stir just to combine. Stir in pecans. Spoon batter into prepared molds and bake for 15-20 minutes for muffins, 25-30 minutes for mini loaves, or until a cake tester inserted into the center comes out clean. Husband and I have just bought peaches. Obviously this is what they were meant for! So good looking and sounding! Yummy! I am still waiting patiently for the strawberries that are quite late this year with our cool and wet Spring. Once they are here we won't be able to keep up with all the delicious fruits!! I think I will be making this for breakfast next weekend! Looks so scrumptious! I've got some rhubarb marmalade left right now...probably not more than 1/4 cup though. Don't know if that's enough, although the flavor may be stonger in a marmalade than your peach jam. With peaches and pecans, it's like this was made for Texas. Sounds fantastic! I'm loving our local peaches right now, and this is a great use of preserves. What a lovely way to use summer peaches! Although, I have a hard time saving them to use for baking because we usually end up just eating them all! Grace, you truly have the golden touch in the kitchen. Have you thought about opening your own bakery? Girl, you should! Peach and pecan is a lovely combo and this bread looks divine! Peaches are my favorite summertime fruit, hands down! 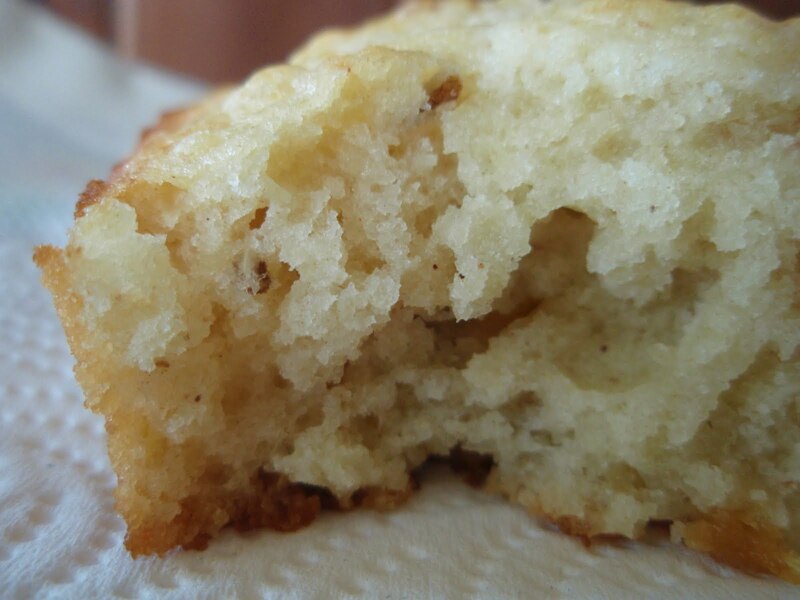 What a great recipe - it looks so light and fluffy! And so easy, too! GREAT idea. Peaches are my favorite. But like you've I've found that their flavor is often muted if you don't REALLY turn them up in the ingredients! Only a true casual baker like you can pull off something so interesting just by opening up a few doors. I do it all the time...as well as talk probably more to myself then others!?! WOW..so full of flavor and of course simply amazing Grace. totally brilliant idea. looks amazing. I've actually never thought to combine peaches with a quick bread - although I love peaches AND quick breads. Brilliant idea. I'm so behind on your blog! but everything looks really good as usual. and these close up shots are killing me i need this right now. by the way I left something for you on my blog. I have a TON of peach jam in the pantry - I have a feeling this is going to be making a showing on my table! You always manage to make my mouth water. Just YUM! I wanna take a bite out of my screen! I don't really talk to myself in the kitchen, not aloud anyway =]These sound so delicious! And the texture looks really good- it's so light and fluffy! Why have I never thought to do this with my preserves? Hmmm. I love the texture of these! So light and fluffy. Your post reminds me, it''s about time to actually clean out my pantry and see whether I've got enough goodies to make something that's just as delicious as this one! Your feel good recipes and the macro photo shots are just perfect to make me wish for a bite of cake and preserves right about now! Mmm... sounds so good with peaches and pecans! A must try for sure! Snaps to you for turning "leftover" into "awesome!" Nicely done!!!! I love the combination of flavors. Peaches and pecans are the best. That sounds and looks really scrumptious.. I would love a LARGE piece now. Great idea. All the flavor throughout the entire bread, instead of only on the top. What a great idea, I am trying to use up last years Jam so I can make more! These are like the perfect summer loaf. I love "cleaning out the fridge" with concoctions:) At least you had the foresight to keep track of the ingredients. Those "babies" look scrumptious! Just tonight I "threw" together a sorta Jambaylaya and I'll be darned if I know what I actually tossed in it. It was oh so good though. I'm gonna check the fridge for nibbles of preserves. I need dessert, NOW!!! This is a delicious sounding dessert...or breakfast...whatever you want. I love it. Isn't it amazing how much jam something can take? I just made some jam bars, and wow - I don't know if "too much jam" exists. It's like it just disappears into the batter, leaving you wanting more. The cake looks very moist...and I love both pecan and peach. This would be my type of coffee cake for the afternoon! What a cool combo of flavors! The bread looks delicious! What a great idea for peach preserves, it looks delish! I love how amazingly moist this looks! That looks like the perfect thing for a mid-morning nibble. Or any other time of the day, for that matter. I agree with everyone else - peaches and pecans are a great combo! This sounds excellent, and its texture looks spot-on! Yes! I totally bake/cook to use up ingredients I have on hand. This cake looks super moist and tasty. Those look so fluffy and moist. Hey, with peaches in season now, you can have a fresh one alongside your peach cake and get your peach fix that way, too. I was lately given something to think about...which led to me to create an APPRECIATION page. I just wanted you to be informed that you have been included among those who I feel have so far supported me in a somewhat life changing journey. When you have a chance...come for another small visit on FOODESSA. I wish I could bake like this. I really do. Delicious! I just bought some fresh fragrant peaches yesterday. How luscious this looks. So moist and airy -- I can almost taste a bite now. I love peaches and pecans. What a great idea for breakfast. Fantastic use of leftover peach jam. 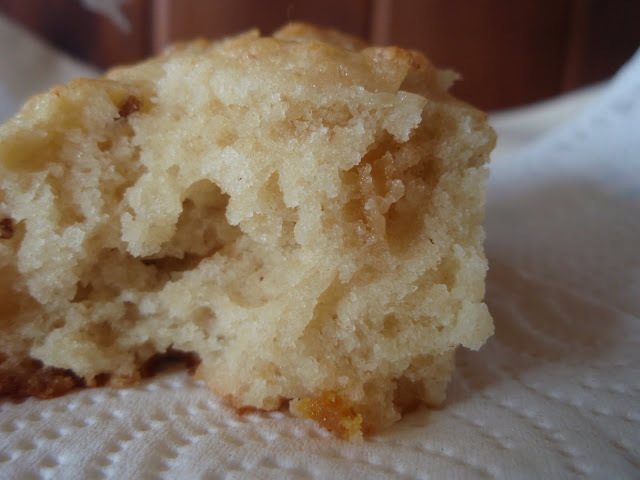 I love quick breads and agree they make the perfect breakfast. Looks so moist in the photo! I would faint if the peach taste was faint! You sure do bake the tastiest cakes, breads, and muffins ever. Just got back from Atlanta, where I ate a fair amount of peach butter on biscuits and yum-O. :) This looks awesome as well. 2 unrelated questions: are you on twitter and did you watch Justified?